The estimated shipping date for this item is: ‎30/03/2019‎. Your credit card will be charged when we ship your order. 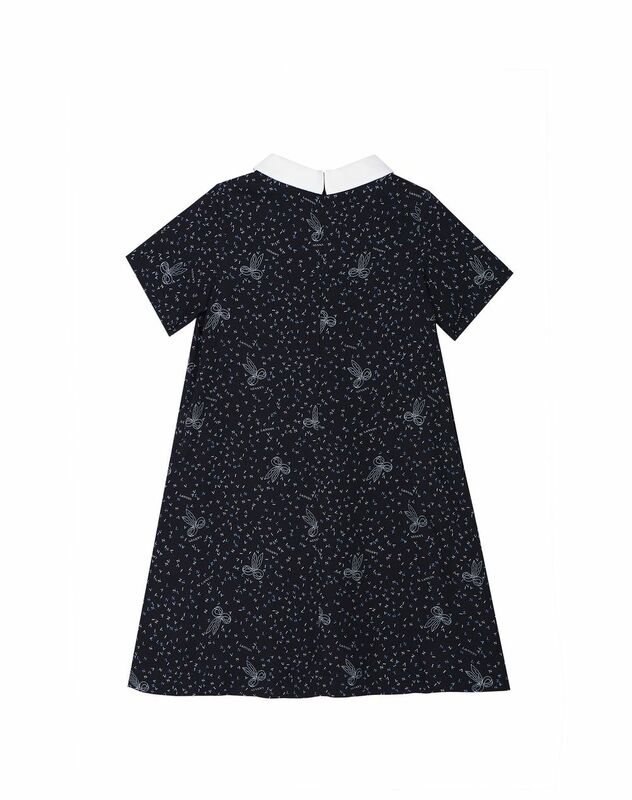 Dress with white and light blue bow print, short sleeves, white lapel collar and hidden zipper on the back. 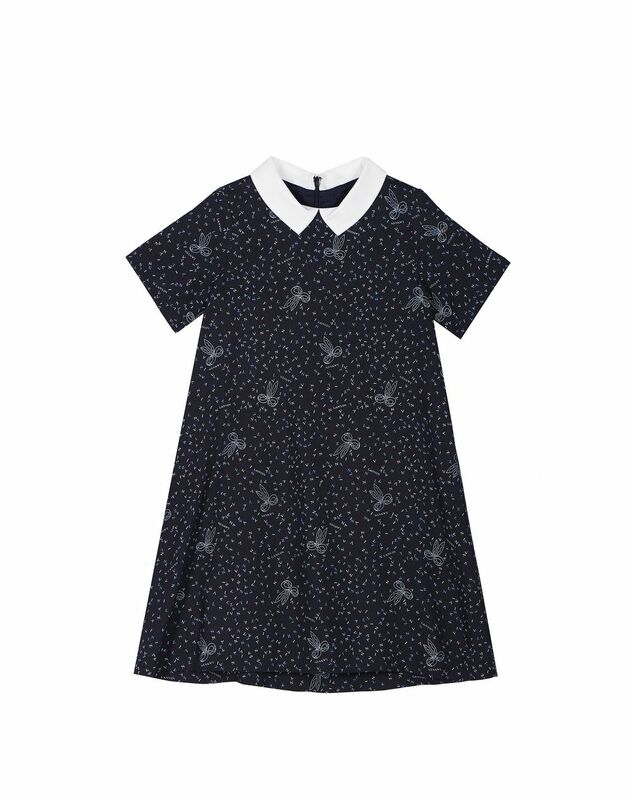 Modern and stylish, this gorgeous navy blue dress has a distinctive flowing cut and bow-patterned print. 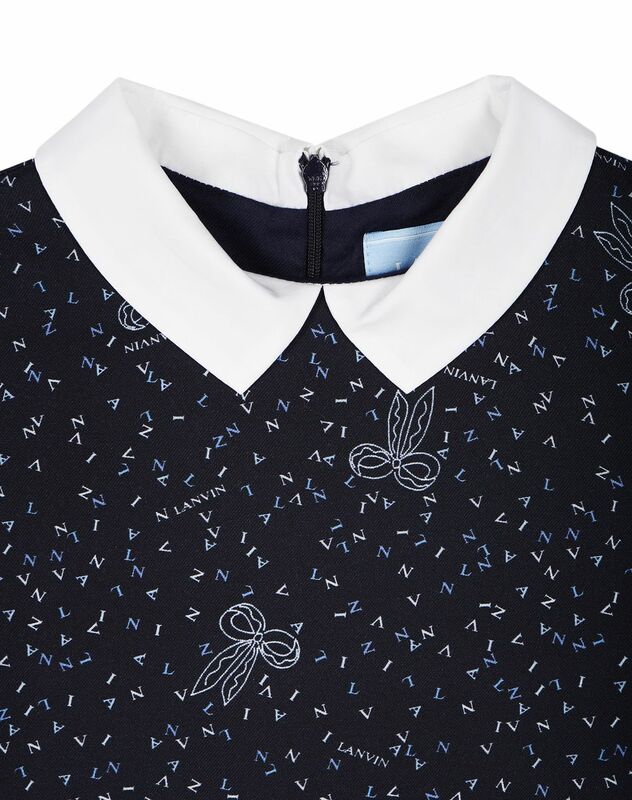 Enhanced with the lettering of the Lanvin logo, this comfortable model adds fluidity to Lanvin's Fall-Winter Collection. Main material: 100% polyester. Made in Italy. Care conditions: Do not machine wash. Do not use bleach. Do not tumble dry. Iron at low temperature. Dry cleaning.